Hello, to my newest follower, Joy, from Morning Glory Card Studio. In your honor, Joy, I pulled out this old Hero Arts morning glory stamp which I have had for almost eighteen years. The Just for Fun "Dream" stamp that I used on the inside has also been in my stamp drawer for almost that long. I think that qualifies this card as retro rubber! My friend Susanne is a guest designer for challenge 8 on the Retro Rubber challenge blog which involves using eyelets. Yes, eyelets, isn't that a blast from the past! I dug out my stash and found these little beauties purchased back when we were all using eyelets, and to the best of my memory, I have never used. Thank you to Retro rubber for the chance to use some of my supplies. I hope my readers will check out the challenge; you still have time to enter before the deadline, this Friday, February 27. I also used several snippets of paper in this card including the white cardstock, left over from my Valentine cards, and just big enough for a 4-1/4 inch square card. The green backgrounds were in my scrap bin as well as the snippets I used for die cutting the butterflies. So I will be linking to Pixie's Crafty Workshop blog now on challenge week 165. I hope you will stop by and say hello to Di and Parsnip. Now to find my white pen in the mess on my desk to write a greeting on the green, hmmm. Thank you, dear readers, for visiting today. Hello Dora: I want to thank you for the sweet comment you left on my blog for the Retro Rubber Challenge. I'm still so very new at blogging, although I've been making hand made cards for a long time. My friends kept asking me to set up a blog to share this wonderful hobby I love so, last December, I took the plunge and now, here I am, with this blog where I will share about the things that make me happy. Your card is so lovely, I love the way you used the eyelets, they look like a little sparkly trail left by the pretty butterflies. I will keep on participating on this challenges, special because this particular one allow us to dig up older stamp sets and give them a chance to shine again. 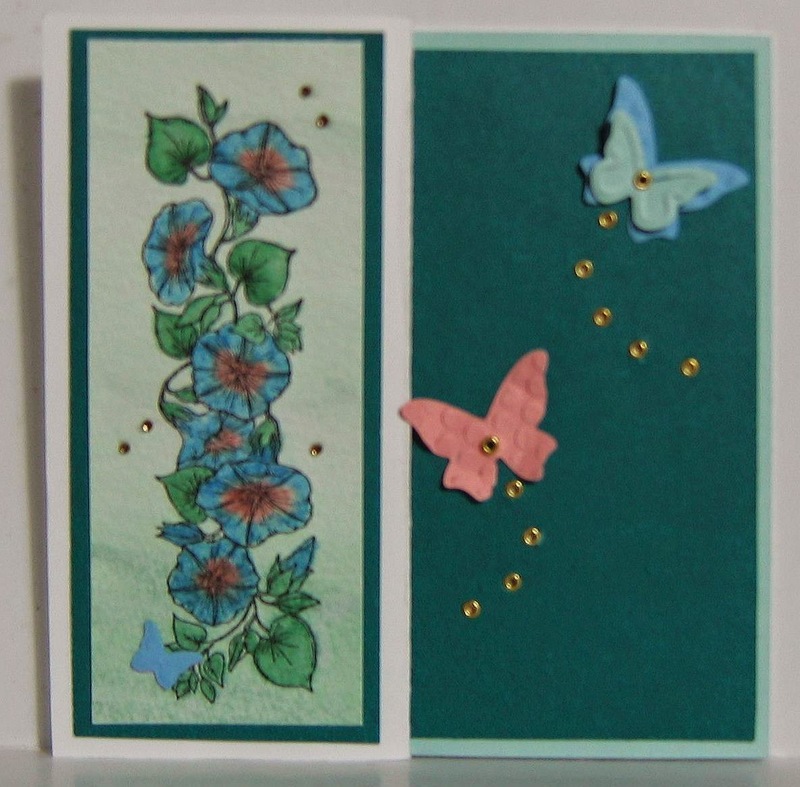 What a great card you made using this "vintage" morning glory stamp that I also still have! Love how you used the eyelets! Don't know if I own any of the minis, they are so cute! So glad you are playing at the Retro Rubber Challenge! LOVE the way you used the eyelets for the butterfly trail! So creative. 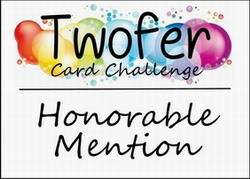 I am so glad you shared your pretty card with RRBC this challenge. Hope to see you come back often to play with our retro themes! I am going to say ditto Katy's comment. I love the how you showcased the eyelets! A lovely card! Thanks for playing along with Retro Rubber! So pretty and, well, dreamy! Love your choice of colors for your card and the Z fold was a great way to showcase your stamps. The Eyelets are definitely the perfect touch! Thank you for playing along with the Retro Rubber challenge and hope you will play again soon. Stunning effect with the eyelets, what a pretty card. Thank you for joining us at RRCB. 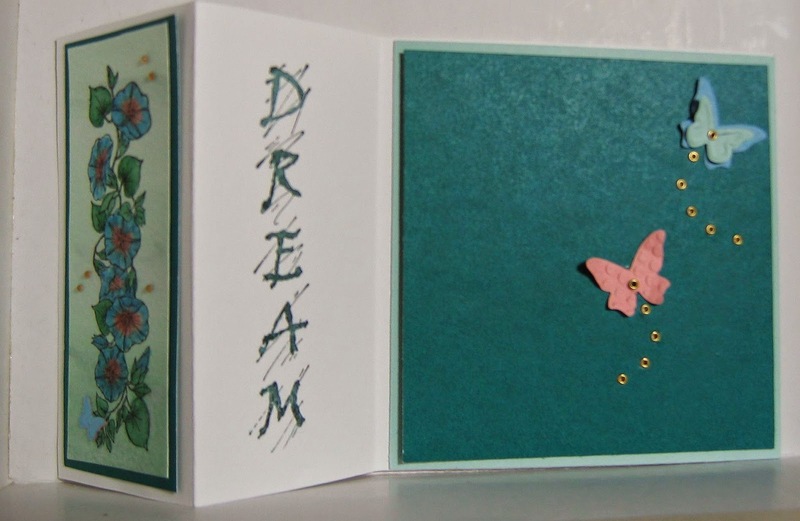 Your card is soooo pretty and the eyelets make a perfect flight path for the butterflies! Well done and thank you for sharing with us at the RRBC! 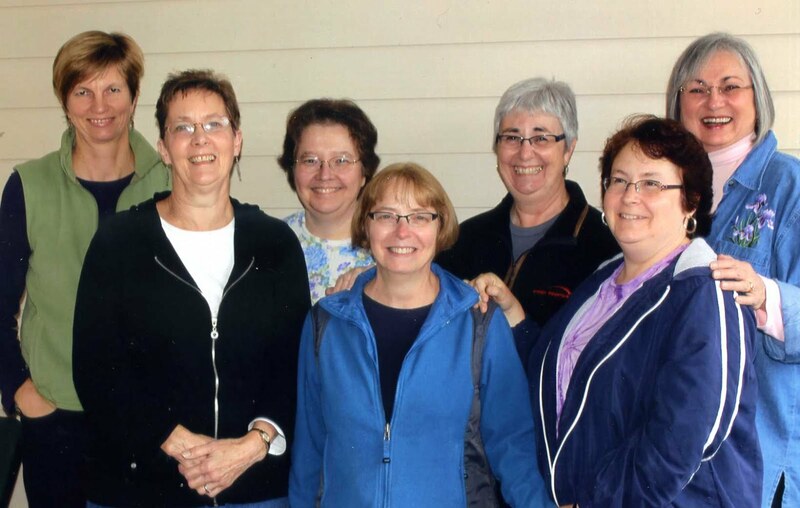 Congrats on being a Fab Five at Retro Rubber!